CD Projekt Red, developers of the Witcher games, announced their sci-fi project Cyberpunk 2077 waaaaaay back in 2012, and we've heard very little about the game in the five years since. Recently however, the status of its development was in question thanks to a series of departures and strongly-worded negative reviews on Glassdoor and other job seeker sites. "Crunch here is insane," reads one such review of the company. "We read about Bungie's crunch and ME: Andromeda crunch and laughed. And crunch will hit current project hard. Because spreadsheet planning + incompetent overseers = hemorrhoids, bad back and depression." Others accused CD Projekt Red of fostering a "politicized" work environment and "culture of blame," and another said that there is no "low season" at the studio. Arguably the most scathing review wrote in the 'Advice to Management' section, "Just retire, or focus on family. Please leave making games to people who actually who play them, make them and love them." Company co-founder Marcin lwinski studio head Adam Badowski said that the studio's approach to making games isn't for everyone. "We believe reinventing that wheel every friggin' time is what makes a better game," the pair claimed. "When we start down the road to creating something, We know the destination and we're sure of one thing: even if something feels impossible, it doesn't mean it is. And, as it turns out, most often things are perfectly possible, they just require a lot of faith, commitment and spirit." At the same time, a new wave of positive reviews have appeared on Glassdoor, many posted within the past week and upvoted so that they appear first. 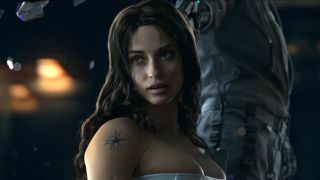 As for Cyberpunk 2077, Iwinski and Badowski claim that progress is coming along as planned, but fans shouldn't expect constant updates about it. "In this case, silence is the cost of making a great game," the letter says. "If you're following news related to CD Projekt Red, you might have recently stumbled on information regarding morale here at the studio. We'd normally avoid commenting on company reviews on spaces like Glassdoor, but this time around - especially in light of the fact that we haven't communicated anything about Cyberpunk 2077 for a long time and saw some gamers getting worried about the project - we'd like to elaborate on a few things. First off, we'd like to talk about the departures. In 2015, when we released The Witcher 3: Wild Hunt, we were over 200 developers strong and that was the core Crew of the studio. Since then, We've almost doubled the headcount and we're still hiring. Do people leave? Sure they do. We always wish them all the best and respect both their decision and the feedback they give us as the reason for their departure. We are continuously working on making Red a good workplace for everyone, but we also have a set of values that constitutes who we are and how we do things. So, does a departure, even a high profile one, mean that the project is in danger? One would need to be very courageous to base the future of an AAA role-playing game of such scope on one person (or a few people). Every role-playing game we ever developed seemed impossible to achieve at the moment we set out to create it. It took us five years to finish The Witcher 1, we had to make our own engine to complete The Witcher 2: Assassins of Kings, and we had to entirely reinvent the way we made games to deliver an open world for The Witcher 3: Wild Hunt. When we start down the road to creating something, We know the destination and we're sure of one thing: even if something feels impossible, it doesn't mean it is. And, as it turns out, most often things are perfectly possible, they just require a lot of faith, commitment and spirit. This approach to making games is not for everyone. It often requires a conscious effort to 'reinvent the wheel' - even if you personally think it already works like a charm. But you know what? We believe reinventing that wheel every friggin' time is what makes a better game. It's what creates innovation and makes it possible for us to say we've worked really hard on something, and we think it's worth your hard-earned cash. If you make games with a 'close enough is good enough' attitude, you end up in a comfort zone. And you know where the magic happens. Cyberpunk 2077 is progressing as planned, but we are taking our time - in this case, silence is the cost of making a great game. As always, many thanks for being so engaged in what we do. It shows us it's all worth the hours we put in. Yours, Marcin lwiński (Co-Founder) and Adam Badowski (Studio Head)"